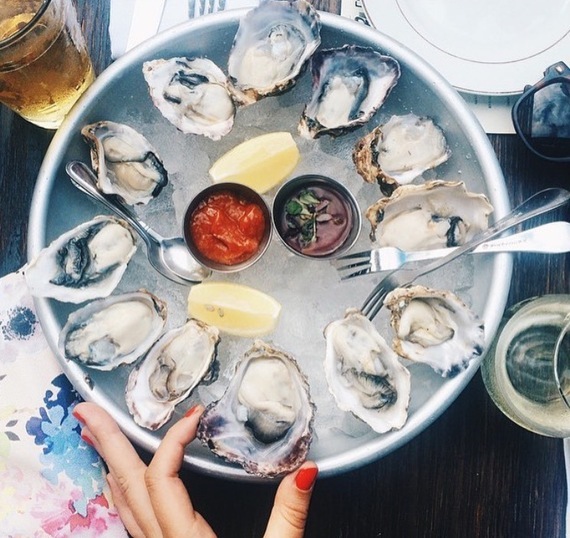 One of our favorite warm weather activities is kicking back with a platter of oysters and some cold beers or a bottle of rosé, a pastime that's been popular for many years, in many places. 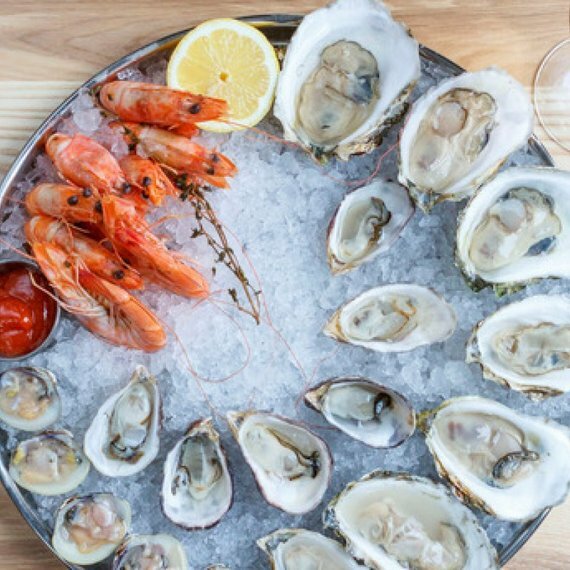 One of our favorite warm weather activities is kicking back with a platter of oysters and some cold beers or a bottle of rosé, a pastime that's been popular for many years, in many places. 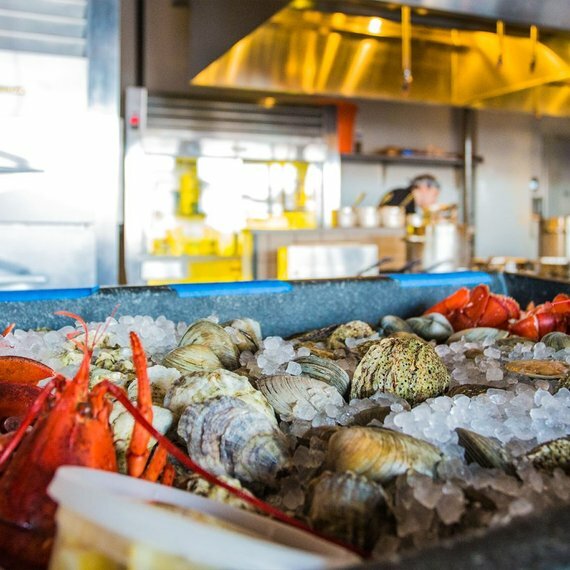 Restaurants that offer live seafood, or a service known as a raw bar, began cropping up in Europe in the mid-1700s before landing in the United States in the early 1800s. 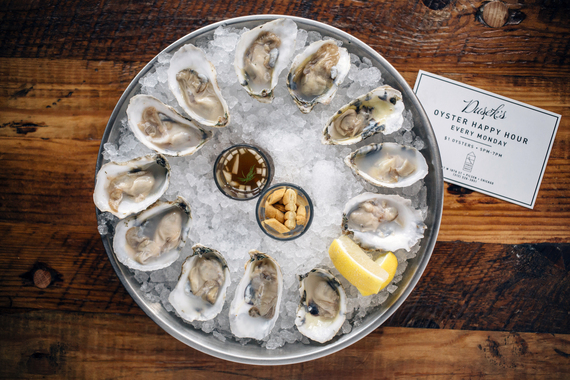 Though the trend originally began with just oysters -- the oldest oyster bar in the United States opened in 1826 in Boston -- it wasn't long before the craze expanded to include a variety of shellfish. 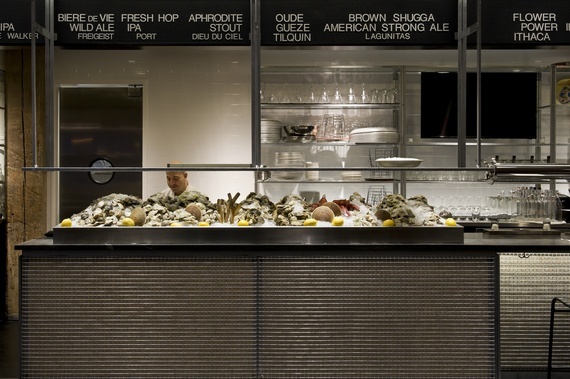 With a raw bar located at the restaurant's central, wrap-around dining bar, Lupulo in New York offers oysters, shrimp and other fresh seafood, as well as delicious Portuguese tapas to pair with its 16 craft beers on draft. 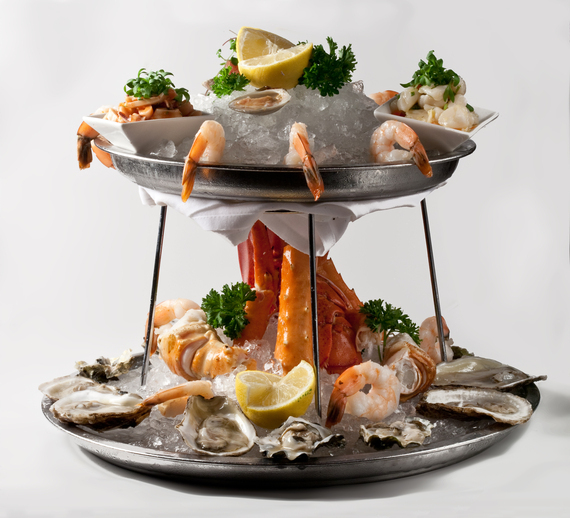 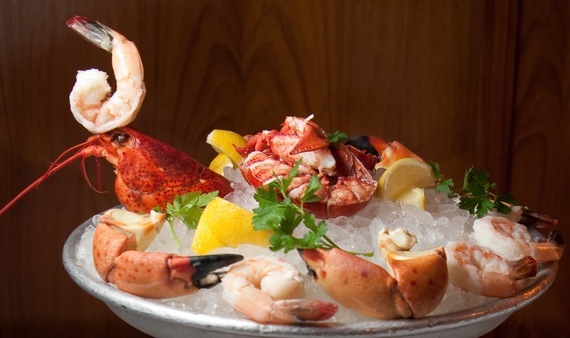 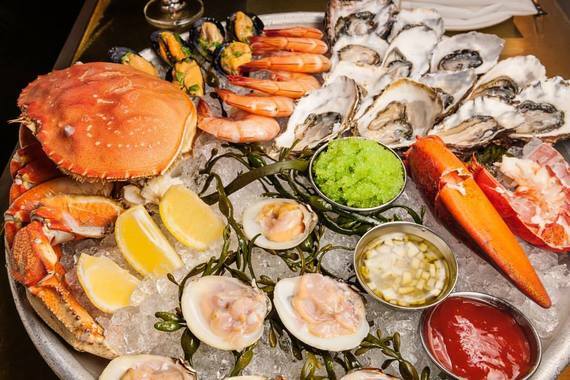 While perusing the incredible meat selection at Strip House Midtown, a great New York steakhouse, don't forget to nosh on the seafood platter featuring buttery oysters from both coasts, lobster and shrimp cocktails, littleneck clams and lump crab. 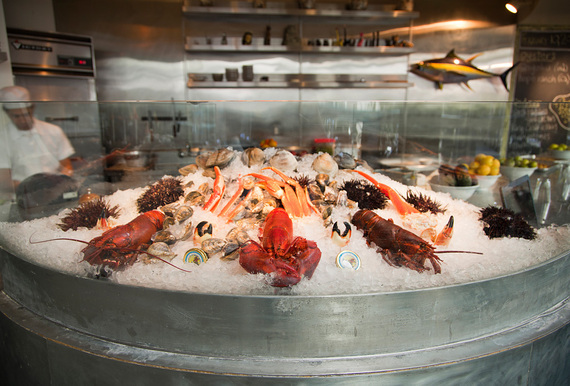 Lure Fishbar in New York draws the hungry crowds with varieties of fresh oysters, clams, crab claws and chilled lobster, offered individually or as a shellfish platter that's great for sharing. 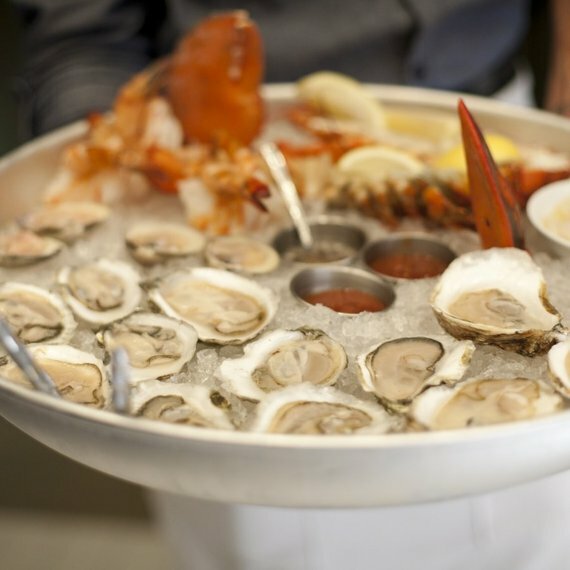 A contemporary oyster bar and cocktail lounge, The Olde Bar in Philadelphia features extensive raw bar offerings like a Raw Bar Tower that includes a chef's selection of fresh shellfish and seafood -- think East Coast oysters, middleneck clams, lump crab cocktail and Maine lobster -- to pair with its notable spirits program. 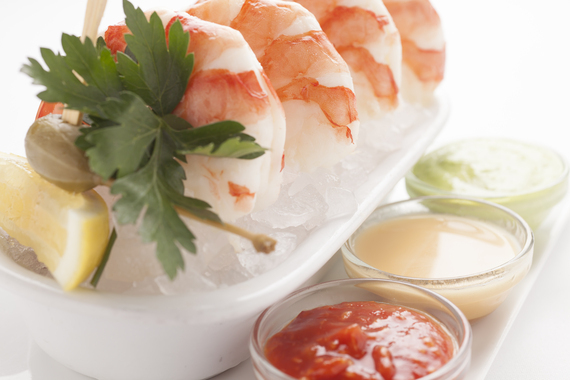 Aside from fabulous mussels, Mussel Bar & Grille Arlington also offers fresh clams, oysters, shrimp and lobster with a choice of sauces including apple-mignonette, cocktail sauce, Marie Rose (a blend of tomatoes, mayonnaise, Worcestershire sauce, lemon juice and pepper), Old Bay aioli, remoulade (a French condiment similar to tartar sauce that's aioli- or mayonnaise-based) and salsa verde. 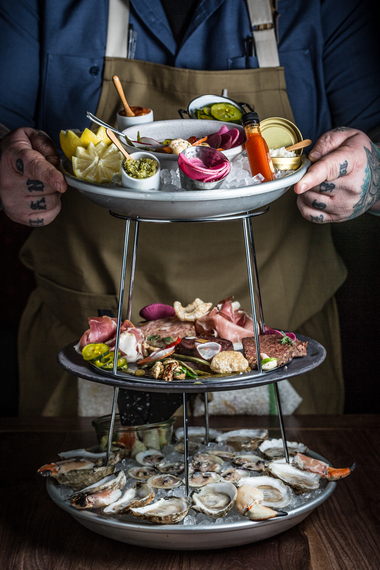 Depending on your party size, Townsman offers petite and grande shellfish plateaux (French for "trays") stacked with shellfish from local waters, complemented by a selection of cured meats, terrines (a mixture of ground, lean meat mixed with fat like a pâté) and seasonal pickles. 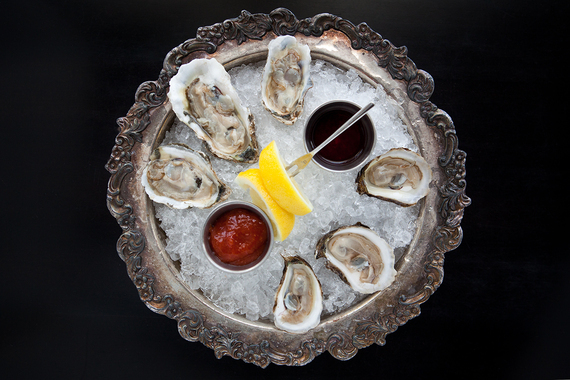 Photo provided by Dusek's Board & Beer. 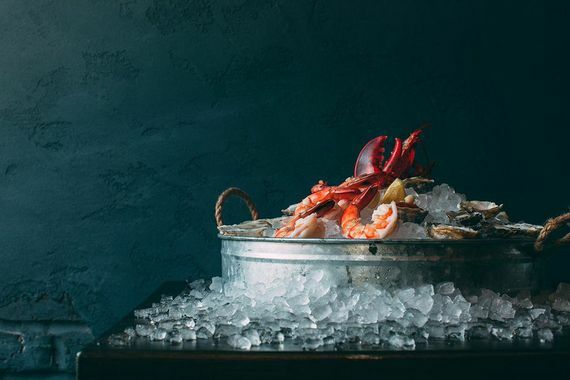 Photo by Clayton Hauck. 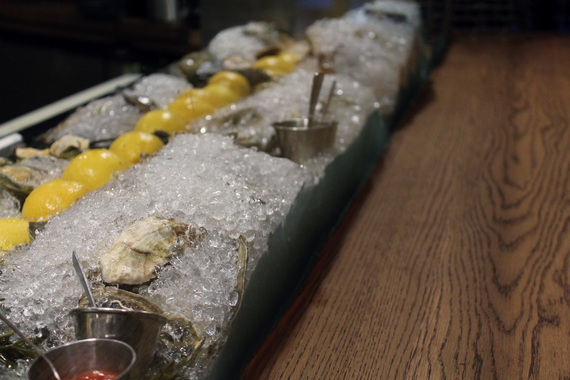 The oyster selection at Dusek's Board & Beer in Chicago showcases the differences between bivalves from the East Coast (New Brunswick, Maine and New York) which are generally saltier, and those from the West Coast (Washington and British Colombia) which are typically sweeter. 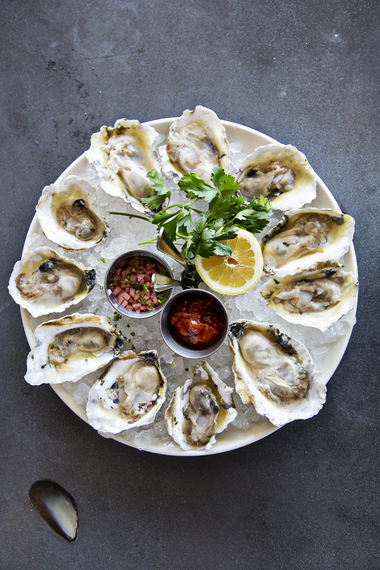 A refreshing starter, the half dozen oysters from Spring in Los Angeles are served simply -- with bright lemon wedges and tangy mignonette sauce. 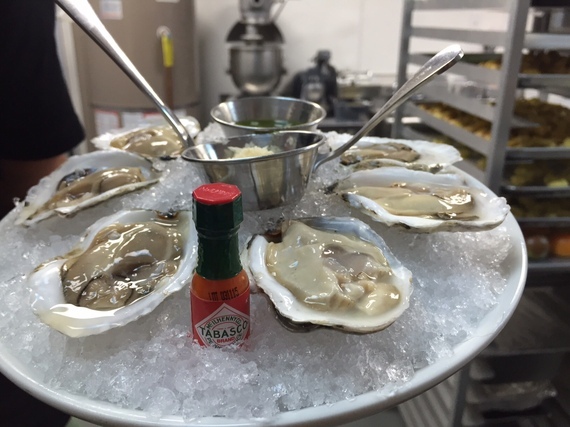 Heritage in Philadelphia offers three different sauces for your East Coast Oysters -- mignonette as the piquant French accoutrement, horseradish if you're looking for a kick and lemon as a fresh, crisp drizzle. 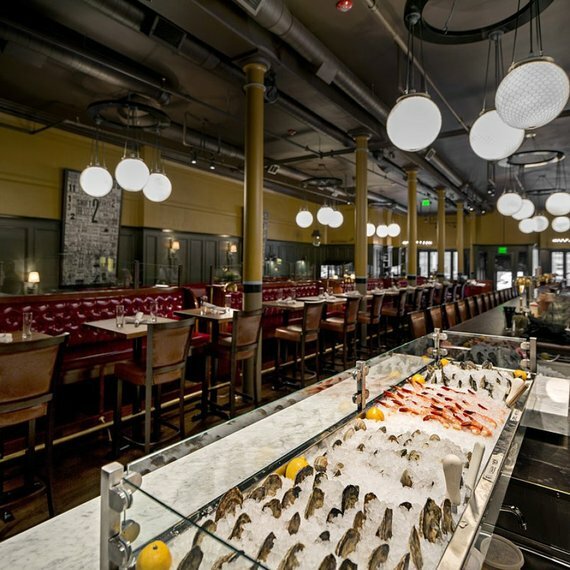 Row 34 in Boston commands respect with its first-class seafood selection, including a robust list of the day's freshest oysters, shrimp, clams and lobster, plus a variety of smoked and cured seafood, crudo and ceviche. 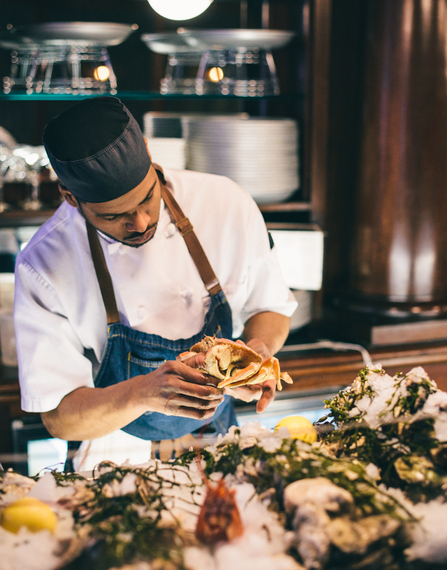 Don't be deceived by the name -- Quality Meats in New York offers more than just juicy cuts of meat. 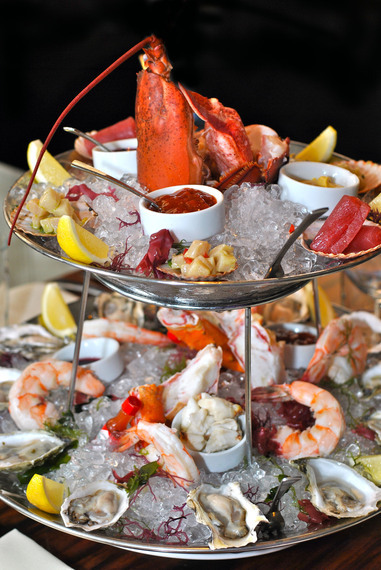 Shellfish bouquets made of oysters, lobster cocktail, shrimp and crabmeat are an integral part of its steakhouse-driven menu. 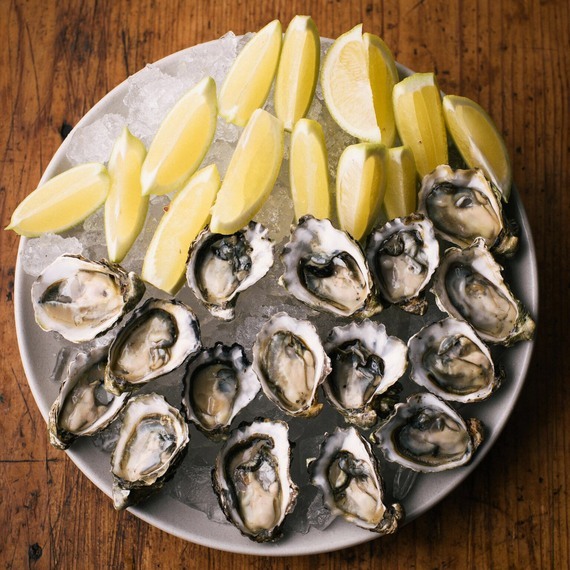 Oysters taste different depending on the temperature of the water they're harvested in. 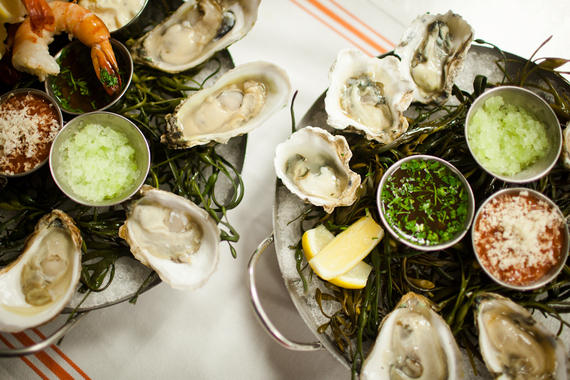 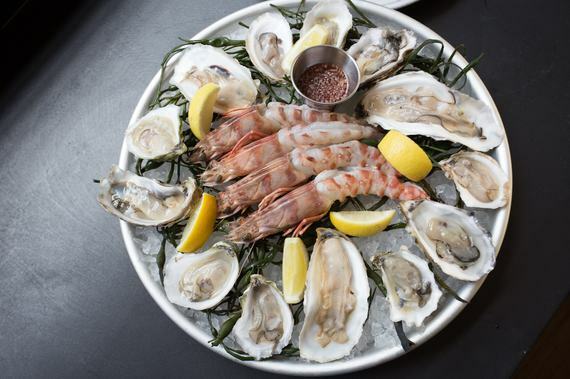 Experience the difference for yourself at The Maiden in Boston, which offers earthy, rich Blue Point oysters from New York, delicate sweet Chelsea Gems from Washington and clean, salty bivalves from Massachusetts. 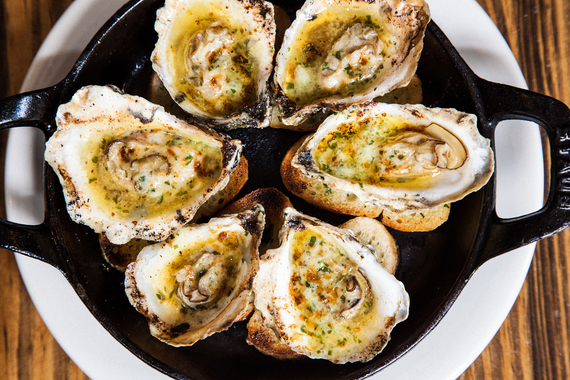 Though the menu at King Bee in New York pays homage to Louisiana country cooking with creative Acadian -- or Canadian-Cajun -- fare, the restaurant rides the locally sourced train with its East Coast oyster selection. 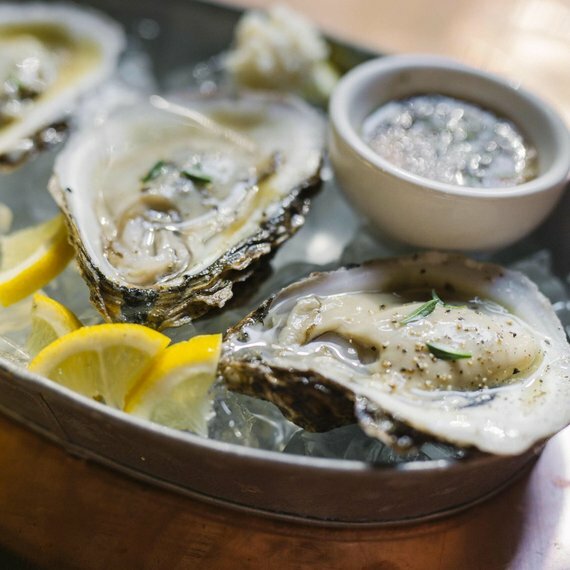 A classic food and wine tradition is oysters and champagne -- the high acidity in champagne balances the saltiness of the shellfish -- and nobody showcases this better than RM Champagne in Chicago. 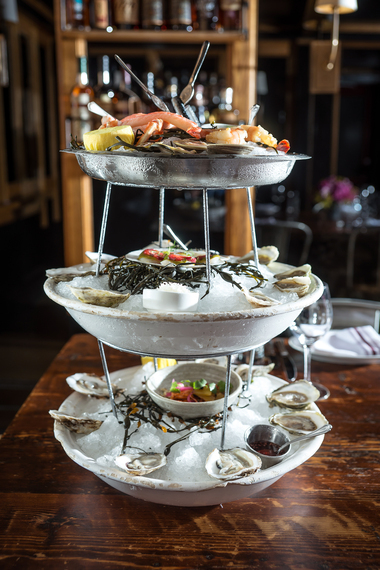 A daily selection of East and West Coast oysters, plus hamachi crudo, salmon tartare, shrimp cocktail, crab claws and Maine lobster, complement its curated bubbly portfolio.